Loved playing for the scrappers delight challenges both at the fb group here and the blog challenge here. I have used the freebie friday image and colored it with copics after printing it in laser printer on hdigitalill digial cover paper. The background paper is a free steampunk paper from freepik . 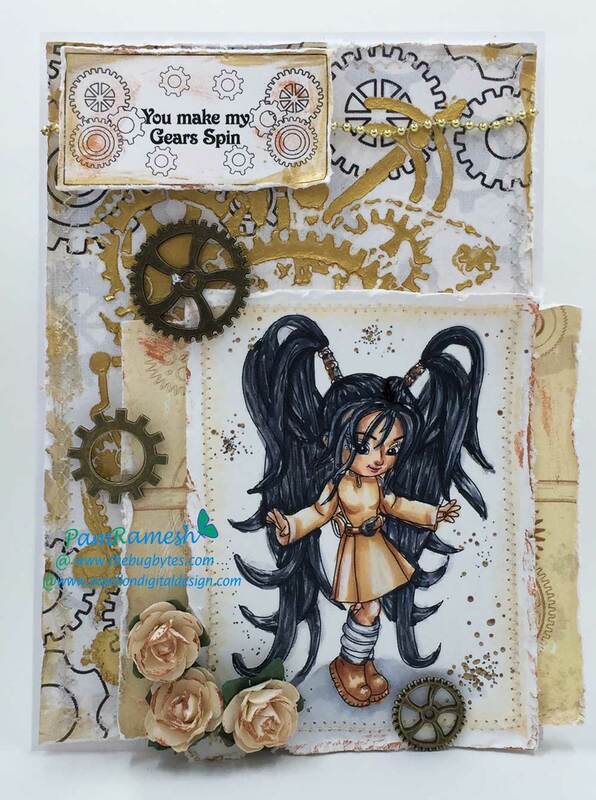 I have used nuvo embossing paste on stencil from stampendous called steampunk clock over the background pattern paper. A few gear charms and flowers and bit of gold chain for embellishments. Also broke out the mini sewing machine for some stitches and added a bit of embossing with stampendous aged bronze powder. stunning make . Thank you for entering the Scrapper’s Delights Challenge. Good luck.